There are many reasons to cut the cord. Most do so to save money. Others do it to have better choices and just to be able to fire their cable company. There are many choices of products and equipment, as well as services that are now available to let us change the way we have done things in the past. Hewie will talk about over the air and over the Internet services, including the many ways to fulfill your wants and needs as to TV viewing. He will include information about Broadband and even Internet home phones. This presentation will help you understand many of the newest possibilities for TV viewing and what to look for to satisfy you and your family. Be prepared to have a lot of the confusion make some sense and to determine if it may be the move for you soon. TV, as we know it may disappear in the next few years and you will understand what is happening and what choices are available now and what to look for down the road. Hewie Poplock joined the Tampa Bay Osborne User Group in 1982 and was amazed at how computer users helped each other. 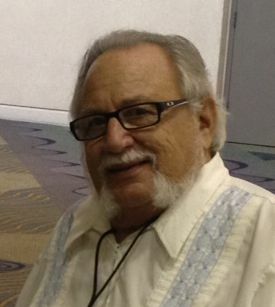 In 1987, he joined the Central Florida Computer Society (CFCS) and served as its President for four terms. He was also its Program Chair for many years. He is chair of the Windows SIG (Special Interest Group) and gives a remote Windows SIG presentation to the CFCS members each month even though he has moved to the Sarasota area. The presentations are held live, on the Internet and open to all user group members from around the country. There is a monthly newsletter that contains the meeting links and Windows news. You can sign up for it at https://hewie.net/winsig/. He recently joined the Sarasota Technology User Group. Hewie also served as Vice President for the Association of PC User Groups (APCUG) and was webmaster for APCUG’s Drupal website. Professionally, Hewie is a former teacher, college instructor, business owner and manager, IT Manager and website designer. He is now retired, but is active in technology user groups and frequently speaks to and teaches groups whose members are mostly seniors. Hewie has several tutorial videos on YouTube, as well as recorded Windows meetings on his website. As an advocate for Chromebooks, Hewie maintains a Chromebooks 4 Seniors website. 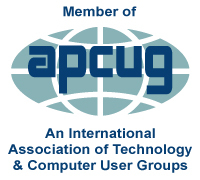 There are a group of club members who regularly attend PPCUG meetings. However, Club Leadership including those who have been arranging meetings would appreciate your assistance. We are looking for volunteers to step up and take a leadership role. Any role that you take will look good on your LinkedIn profile! Meetings of an organization at any of the facilities of the Mercer County Library System in no way implies endorsement of its programs.